Here is a scenario : “A shopping website will have the cart. User goes on adding items to his cart. Finally when shopping completed, the list of all the items added to the cart should be shown”. Solution : Use LocalStorage for storing the product ID’s and then use AJAX to retrieve the products from the server. 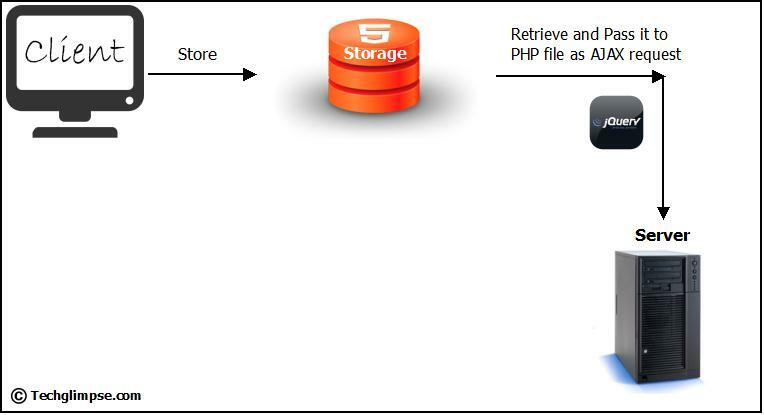 To retrieve the product details, you need to pass the items product ID’s from the LocalStorage to server-side PHP. LocalStorage is on client-side and you cannot pass client data to server using PHP. In this guide i will be showing you how to store the data into LocalStorage, Retrieve and pass it to the server side PHP scripting. What if I want to get data for more than one field? How do I change the script? Could you be more elaborate in your requirements? If i understand, you are getting data of all the fields at once as JSON Object. To help you, please elaborate your requirements.